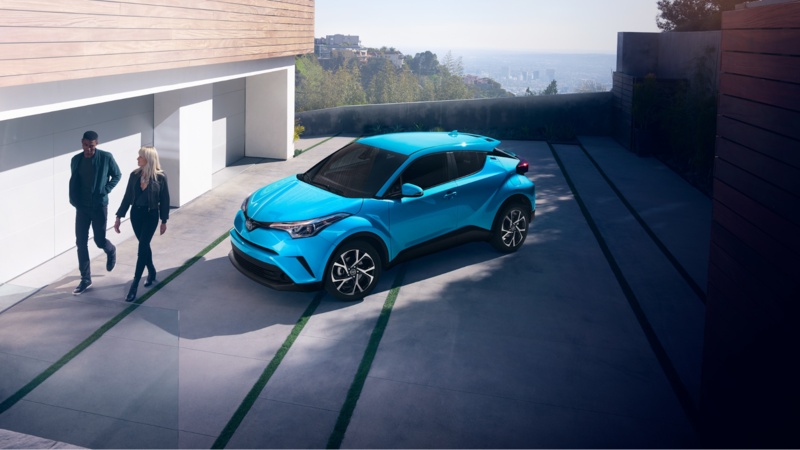 Offering invigorating driving dynamics, bold style, and plenty of attitude — the Toyota C-HR gives crossover drivers a unique way to stand out from the crowd. Perfectly suited to those living in urban environments, the interior of the C-HR delivers plenty of versatility and comfort options to improve every drive. There’s a wide array of advanced tech features to help you stay connected no matter how far your journey takes you. A standard 2.0-liter 4-cylinder engine is matched with a responsive CVT featuring a Sport Mode to help get your adrenaline pumping. The C-HR is a city-sized crossover that doesn’t skimp on practicality or personality. You’ll have your choice of a vibrant color palette of exterior shades including optional R-Code paint treatment for a look that’s as unique as your own. Delivering more value than the previous model year, the C-HR receives a new LE base trim level which lowers the starting MSRP of the vehicle significantly. 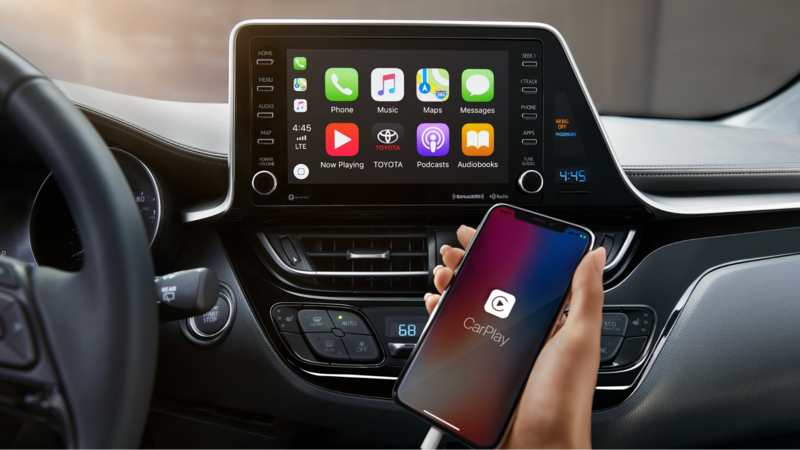 Apple CarPlay® smartphone compatibility makes its debut on the C-HR this year as well. The range-topping C-HR Limited trim receives new exterior accents including chrome window trim, piano black B-pillars, and a red bumper garnish. Capturing the attention of onlookers, the edgy appearance of the Toyota C-HR helps you make a memorable entrance. Optional Vortex-styled 18-inch wheels provide the perfect complement to the sharp, angular styling of the C-HR. At the rear, you’ll find a stylish cantilevered aerodynamic rear spoiler as well. Vibrant exterior shades include Blue Flame and Ruby Flare Pearl to help match your personality. The fun-to-drive nature of the C-HR comes as a result of its standard 2.0-Liter 4-Cylinder Engine with 144 horsepower and 139 lb ft of torque featuring Toyota’s Valvematic technology. Its advanced Continuously Variable Transmission with intelligence and Shift Mode (CVTi-S) combines fuel efficiency with superior response. A Sequential Shiftmatic Mode adds manual shifting capability between 7 simulated gears. You can tackle sharp corners with ease thanks to a MacPherson strut front suspension with SACHS dampers. The driver-focused layout of the interior of the Toyota C-HR lets you sense the connection to the road via a standard soft-touch, leather-trimmed steering wheel. Personalize your temperature preferences with a dual zone automatic climate control system. Lower the standard 60/40 split folding rear seats for easy access to a generous cargo space, providing plenty of options for packing your gear for the next adventure. Hear your favorite audio the way it was intended with a standard suite of multimedia functions including an Aha Radio™ application with over 100,000 stations, Bluetooth® wireless technology, HD Radio™ Technology, USB 2.0 port, and a 7-inch touchscreen display. An optional Smart Key System with Push Button Start lets you spend less time searching for your keys and more time exploring the city. On each trim level of the Toyota C-HR, you’ll find standard smart safety technologies which are engineered to keep you out of harm’s way on the road. 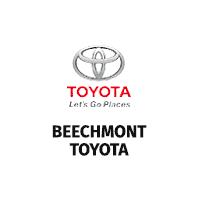 Standard Toyota Safety Sense™ P (TSS-P) offers a variety of technologies including Full-Speed Range Dynamic Radar Cruise Control (DRCC), Automatic High Beams (AHB), Lane Departure Alert with Steering Assist (LDA w/SA), and a Pre-Collision System with Pedestrian Detection (PCS w/PD). Ten standard airbags are also included for greater peace of mind. 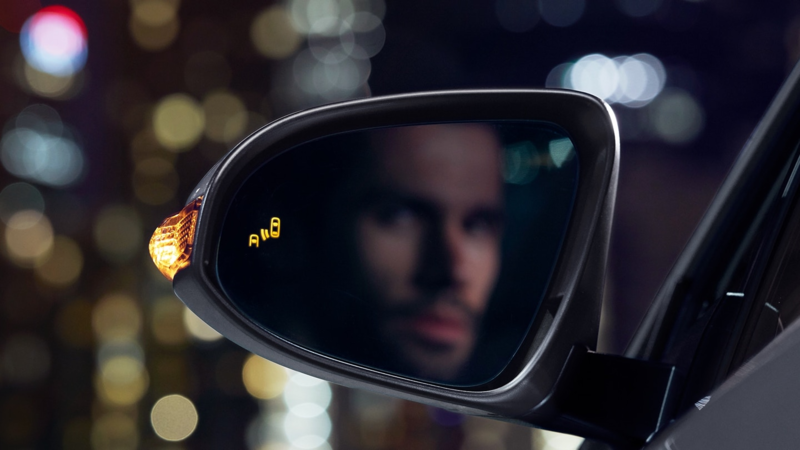 An optional Blind Spot Monitor with Rear Cross-Traffic Alert provides a helpful assist when reversing out of a parking space or changing lanes on the highway.